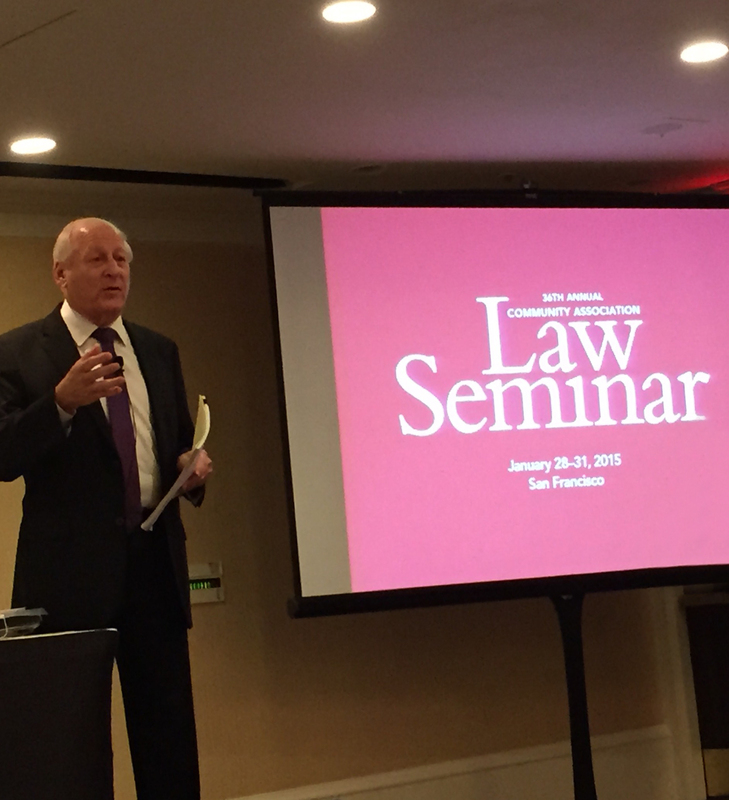 In January I had the privilege of leading one of the courses for the attendees of the 36th annual Community Associations Institute Law Seminar in San Francisco. More than 550 community association attorneys from throughout the country attended the four-day event, which focused on discussions of emerging trends and legislative issues that are important to the practice of community association law. My seminar, which I led together with Daniel B. Odess of GlobalPro Recovery, focused on the association attorney’s role when disaster strikes. It covered how attorneys are able to counsel associations through every facet of the insurance claims process. We discussed the activities that need to take place immediately after the loss occurred in order to document and investigate the nature of the damage, and the best practices for working with mitigation contractors and public adjusters. Dan and I also answered a number of questions from the attendees about the claims process and how to ensure a maximum recovery. We also included a discussion of the rebuilding/remediation process and working with contractors. As a member of CAI’s College of Community Association Lawyers (CCAL), I have had the honor of conducting several seminars at this annual event over the years. CCAL was established in 1993 to acknowledge CAI member attorneys who have distinguished themselves through contributions to the evolution or practice of community association law. Of the thousands of attorneys practicing community association law in the United States, fewer than 150 have been granted membership in the college.